Home Blog Be Summer Ready with Shoppers Drug Mart + $100 Gift Card Giveaway! 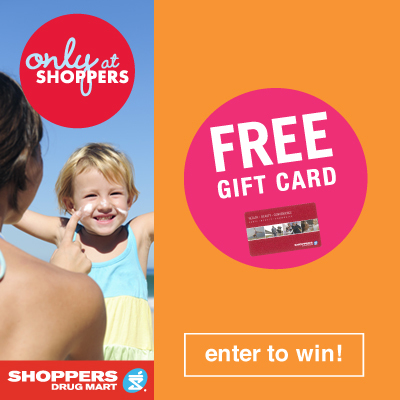 Be Summer Ready with Shoppers Drug Mart + $100 Gift Card Giveaway! Summer is fast approaching, and we want you to be ready for it. Whether it be for yourself, or keeping your kids happy and entertained, Shoppers Drug Mart is your go to place! Help is only a click away when you visit Only at Shoppers where you can find an assortment of resources to help you with your summer needs. Find what will help you be beach ready, stay feeling rejuvenated, look beautiful and keep your kids happy and occupied this summer! With a ton of great articles including ones written by myself, (busy bees: summer fun for kids & summers smile survival) you’ll be sure to be inspired! Be sure to check out all of the great online coupons you can use as well (Hooray for Optimum Points!). We want to know what one summer item that you just can’t live without is, and by letting us know you could be the lucky winner of a $100 Shoppers Drug Mart gift card! Enter below on the Rafflecopter form for your chance to win! Giveaway is open to Canada only, void in QC and ends 6/12. 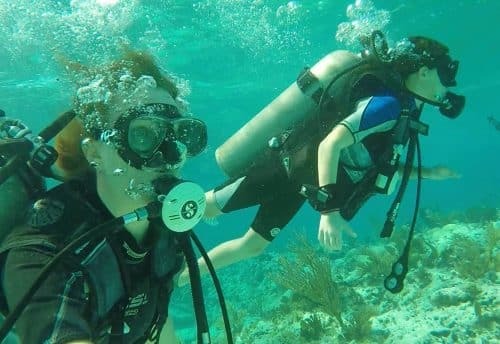 Previous Post Be Safe This Summer – Don’t Let Drowning Happen! Next Post HANDmade Father’s Day Craft Ideas! + Learn the #ASL sign for DADDY! Sun screen! I burn so easy and with two young kids sun screen is something we all put on before leaving the house! The bikini ready article since it points out good suggestions. I must must must have my flip flops ! The summer article that I cannot live without is flip flops. Sunscreen is a summer item I can’t live without. I can’t live without sunscreen for my face in the summer. The thing I cannot do without is my sunscreen, very important to wear it all year round. I can’t live without a good sunscreen! Sunscreen in a good moisturizer. Must have sunscreen for the summer time. I can’t live without my sunglasses! The one item I cannot do without is my sunscreen. I can’t live without my sunblock.. I cannot live without my lipsticks!! My Sunscreen for sure!! I am so pale I burn on contact with the sun! My summer staple is my big floppy hat! Cant live without my kindle!!!!!!!!!!!! It is my fave item!! My sunglasses…have to have them on in the sun. I can’t live without my SPF lipbalm. Water, does that count? Bug spray, we have a lot of bugs here. I can not live without my bug spray! Definitely sunscreen – I’d be burnt to a crisp without it!